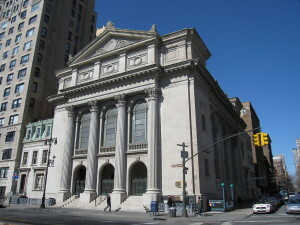 Congregation Shearith Israel (CSI, also known as the Spanish & Portuguese Synagogue) is a NYC Individual Landmark designed by architects Brunner & Tryon and built in 1897. CSI plans to construct luxury condominiums on top of a brand-new community house immediately adjacent to the Landmark on the midblock of West 70th Street. 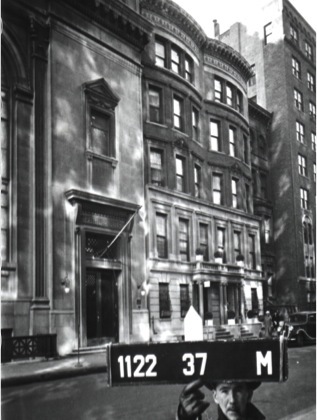 This site is within the Upper West Side/Central Park West Historic District. The NYC Department of Buildings (DOB) approved permits for the new building in May 2015 based on plans that are substantially different from those approved by the NYC Board of Standards & Appeals (BSA) in 2008. As justification for 7 zoning variances granted by the BSA, CSI claimed that it faced a “unique hardship” because its “programmatic needs and mission” required 15 new classrooms. The plans subsequently approved by DOB provide only 3 classrooms. They also show that the 5 floors of luxury condominiums remain (most with Central Park views over the roof of the Landmark synagogue) and the rooftop bulkhead has dramatically increased in size. Clearly, the desire to “monetize” its real estate and construct luxury condominiums is driving CSI’s project, not hardship. CSI has exploited the zoning variance process to shift the cost of new construction to the community who will bear the burden of inappropriate development while CSI reaps the benefits. LANDMARK WEST! and other community representatives filed Zoning Challenges disputing DOB’s approval of permits. In October 2015, DOB issued Notices to Revoke the permits, but as of March 2016 have not officially revoked them. Freedom of Information requests revealed secret communications from CSI lobbyists Capalino + Company asking DOB to “hold off revocation proceedings…and allow for the existing permits to remain active…” NYC lobbyist records show that CSI, one of the city’s wealthiest and most influential institutions, paid Capalino nearly $75,000 to lobby DOB on this matter. If such abuses of the zoning and development process can happen here, they can happen anywhere. DOB’s resistance to revoking permits for a building that was not approved by the BSA and does not even fulfill the stated “programmatic needs” on which the BSA’s “hardship” approval was based demonstrates deep, systemic problems that impact every neighborhood across the city. Any institution eager to exploit its real estate will watch this project closely, recognizing it as a precedent for future inappropriate development. 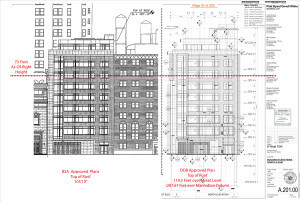 R8B zoning caps overall building height at 75’ with a streetwall of 60’. As described by architectural historian Christopher Gray in a February 2003 New York Times article. CSI originally attempted to secure a special permit for a bulk modification under Section 74-711 of the Zoning Resolution. The Landmarks Preservation Commission denied this part of the application because it found no “preservation purpose” for the additional height beyond what zoning allows. Capalino + Company earned a record $13 million in 2015 to influence City agencies. Its lobbyists include former DOB and BSA officials. To learn more about LANDMARK WEST!’s efforts to oppose this abuse of the zoning and development process, visit our Advocacy Archive. Additional information is available at www.protectwest70.org. You can also read about this development in the Wall Street Journal, as reported by Josh Barbanel.